Has computer just been locked by a screen from Politiet Norsk Politi Institutt for Cybercrime? Have you really violated the laws according to its statement? What can we do to unlock computer without paying? Can it be unlocked if we pay? Be careful about payment before you figure out what is going on! What is Norsk Politi Institutt for Cybercrime? Why does it lock my computer? 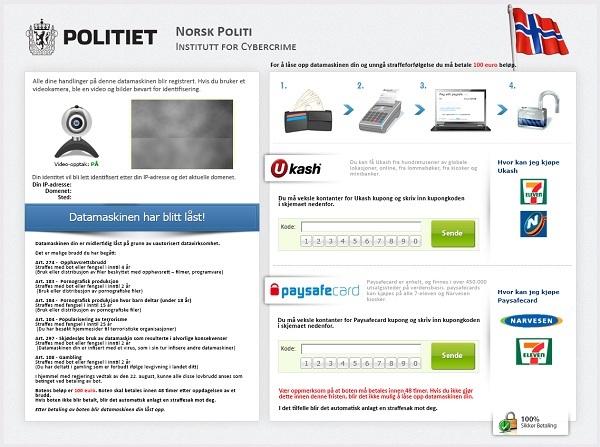 Politiet Norsk Politi Institutt for Cybercrime is categorized as a scam ransomware that will lock your computer screen and stop you from accessing to your computer. The only way to unlock your computer according to the locking page is to pay a fine of 100 euros. This has become an international issue that’s very common in these days. Sometimes it has more than one similar scam targeting on PC users from certain countries. 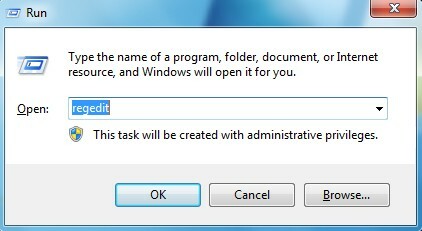 People get easily nervous when this pop-up page appears on their computers as it looks so legit! And they probably go ahead and pay as soon as they see this locking screen. But the fact is, it is just a cyber scam used by hackers to collect money! Generally, this kind of cyber scam locks your computer in the name of the country and asks certain fines from you to unlock your computer in the next few hours or so. By locking up with Politiet Norsk Politi Institutt for Cybercrime, according to its warning, you have been violated the laws of Norway. Datamaskinen din er midlertidg låst på grunn av uautorisert datavirksomliet. Have you really done something against the law? Of course not! You should know that Norsk Politi Institutt for Cybercrime is just a scam/virus. Nothing it says means anything. All it wants from you is money! Opportunities that you may be infected with this virus include visiting unknown hacked sites, downloading free malicious programs and opening spam emails. Even if you have protections from antivirus programs, you will still have the chance to be infected by it. It’s very aggressive and can escape from the detection or auto removal of antivirus programs. Still searching for better programs online hoping to get rid of this virus? It is suggested that one should get rid of this scam program with manual steps. Manual removal way is the most effective way without having to reinstall or format system. To save your computer immediately, do not waste time on finding a best tool. Try to manually remove this Politiet Norsk Politi Institutt for Cybercrime virus. If it gets enough time to stay, it can infected other parts of the computer system! Following are some steps for you to consider. 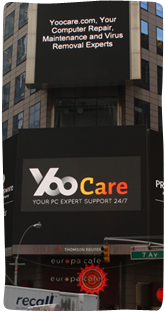 If you are not confident in dealing with this virus, please contact YooCare Online PC Expert. Politiet Norsk Politi Institutt for Cybercrime is another version of the famous computer locking virus. This kind of virus has the same character, which is to lock up your computer and accuse you by the same illegal issues. Sometimes it also has the webcam on saying to record pictures and sounds of yours. All these are just to make you believe it’s real! Being afraid of putting in jail, you probably want to pay 100 euros to get yourself out of trouble and unlock your computer. But that is wrong! First of all, there will not be any police coming down to capture you; and second of all, paying does not help to unlock your computer. Once you pay, you will not be able to get your money back. In order to completely remove it and unlock your computer, manual removal way is the most effective method. You don’t have to run over reinstall system or format PC. Notice:Cannot locate certain files listed above? Not sure which entries can be deleted? Due to the fact that the virus files can be changeable, you may not be able to find the exact same ones in the instructions. That’s also why the manual process requires expertise to define the fake system files. Please contact YooCare 24/7 Online Expert now for a fast and professional help.